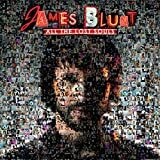 James Blunt Albums, Songs, Lyrics And More at SongMeanings! 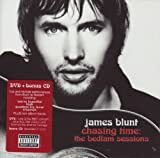 A former British Army officer, singer/songwriter James Blunt was a thoughtful performer with a knack for crafting melodic contemporary soft rock tunes. Born in Tidworth, Wiltshire, England in 1974 to a family with a long military history, Blunt entered the Army after graduating from the Royal Military Academy Sandhurst. Ultimately achieving the rank of captain, Blunt served with the NATO peacekeeping force in Kosovo and finished out his time in the military as a member of the Life Guard Regiment in the British Household Cavalry. Having long been interested in music, Blunt wasted no time in pursuing a pop career after leaving the Army. A subsequent performance at the South by Southwest festival in Austin, Texas, brought Blunt to the attention of 4 Non Blondes singer/producer Linda Perry, who signed Blunt to her Custard Records label. 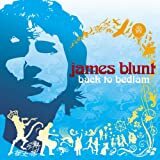 Released in 2005, Blunt's debut album, Back to Bedlam, and its hit single, You're Beautiful, were hugely successful -- the single hit number one in over a dozen countries, and sold over ten million copies worldwide. Blunt toured for much of 2005 and 2006, then released the two-disc "odds and sods" live/documentary album Chasing Time: The Bedlam Sessions in 2006. He had been writing songs while on the road, and brought Back to Bedlam producer Tom Rothrock in again to record. (The songs featured writing collaborations with Mark Batson, Jimmy Hogarth. Steve McEwan, and Max Martin, while the recordings featured Blunt's live backing band.) His sophomore effort, All the Lost Souls -- featuring the leadoff single "1973" -- finally dropped in September 2007. Disillusioned by success and what he felt as a perceived loss of artistic credibility, Blunt took a break from music before coming back in 2010 with his third full-length effort Some Kind Of Trouble, a more optimistic, spontaneous album influenced by '70s U.S. pop/rock, which sold well despite not being critically well-received. In 2012 he returned to the studio with Tom Rothrock to track his fourth album Moon Landing. Featuring "Miss America," Blunt's tribute to the late Whitney Houston, and the country-folk-influenced single Bonfire Heart, the record was released in October 2013.